MISS IT, THIS & THAT - Hello October, and congratulation for every fashion workers around the world (who passed this January under the blessed of fashion goddes) and good luck for all the assessments after fashion weeks, tired but fun? maybe, uhhh we'll see. 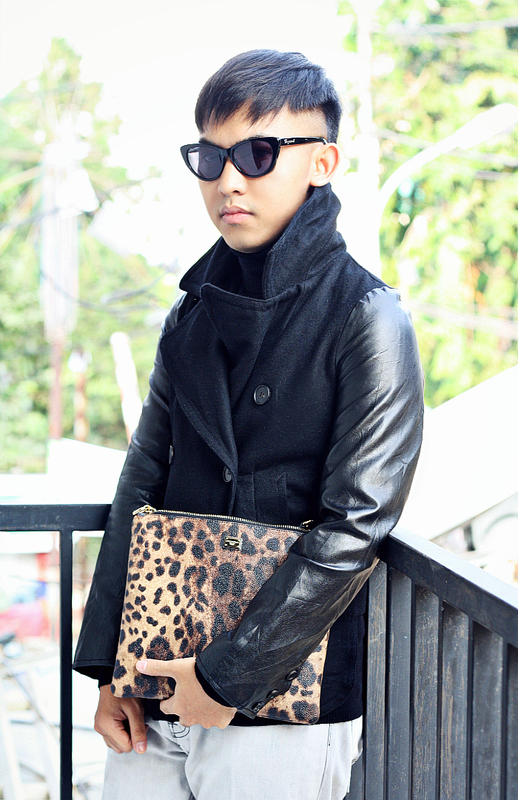 Another fall in balcony style for you, featuring all time bold black, wild leopard and cat eyes. I love the two tones (in material) pea-coat which is vintage, heavy wool and synthetic leather, and i still love the combination, although in the same color. 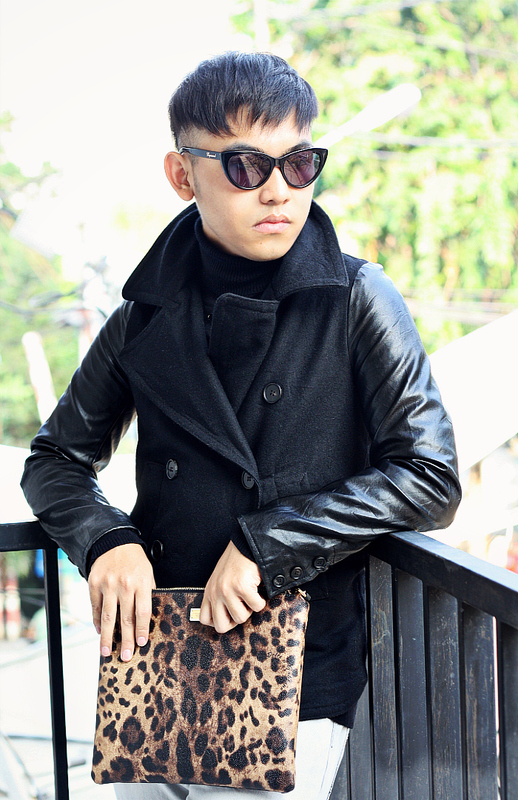 I was wearing this pea-coat for the Freemagz Indonesia photo shoot last month, can't wait to see them, is out now but not in my hand yet, but you can check it everywhere, Starbucks or any leading coffee shops, and I will check it soon. Looooove that clutch. It' awesome! I think it would be great to see your "poni-lempar-senggol-bacok" on ur next posting hhaha.